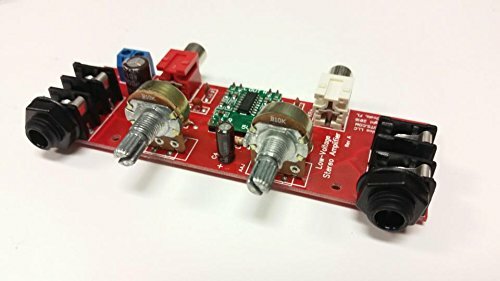 Dual Guitar Amplifier Kit This 3 Watt Dual Guitar Amplifier Kit Allows you to plug in 2 Seperate electric Guitars to 2 seperate outputs. This kit is also offered with a "Built & Tested" option for those that do not want to build the kit themselves. It can run off a 9v battery, but does better with 12vdc. It has a 1/4" Phono Jack (female) to fit a Guitar cable (male) and a 2-pin screw Terminal for the power input and a 1/4 inch phono jack for the speaker output. This kit does not include the tools you will need to assemble the circuit. You will need tools such as a soldering iron, solder, wire cutters, etc. You will get all of the components, including the PCB and Schematics. If you have any questions about this product by NightFire Electronics, contact us by completing and submitting the form below. If you are looking for a specif part number, please include it with your message.